‘Spirituality and formal perfection… this recording stands out.’ Diapason 'Here nothing backs up the keyboard (organ or piano), the choir and the soloists, they shine purely by the quality of their concentration. Vincent Genvrin (at the organ) and Andris Veismanis’s Latvian choir are stunning with fervour: the experience is as propitious for meditation as for listening.' 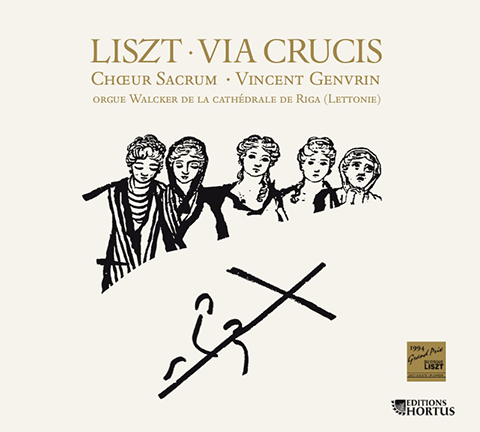 Diapason Magazine (May 2011) The Via Crucis, or the ‘Way of the Cross’, is a walk with fourteen stops, or ‘stations’, during which prayers and hymns mingle with a collective contemplation on the images of the Passion.